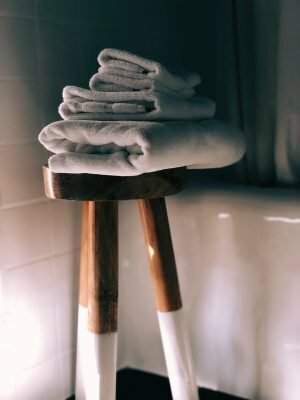 What does the word “bathrobe” evoke for you? 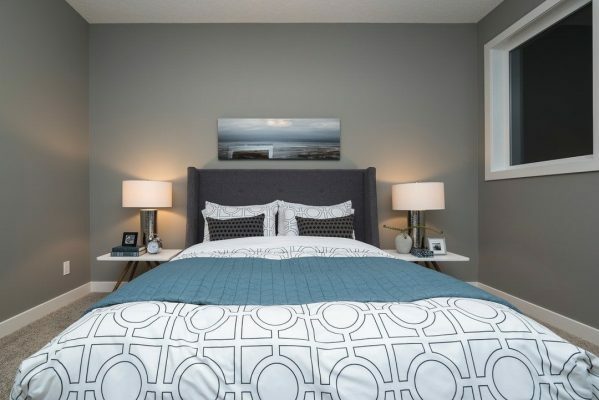 Our answers to that question are: luxury, comfort, and pure joy. 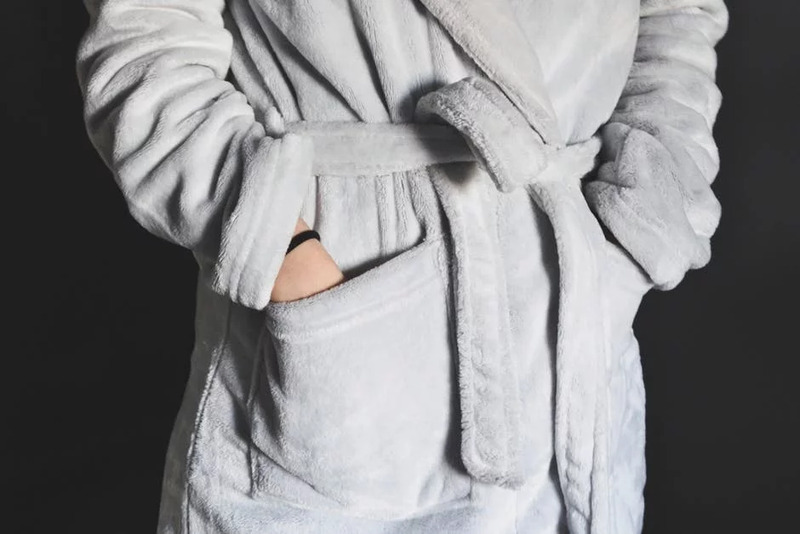 There’s a reason Turkish bathrobes make optimal gifts—there are few items that are so directly affiliated with total relaxation and happiness. Even better than a standard bathrobe, however, is an extra-plush one made of Turkish cotton. 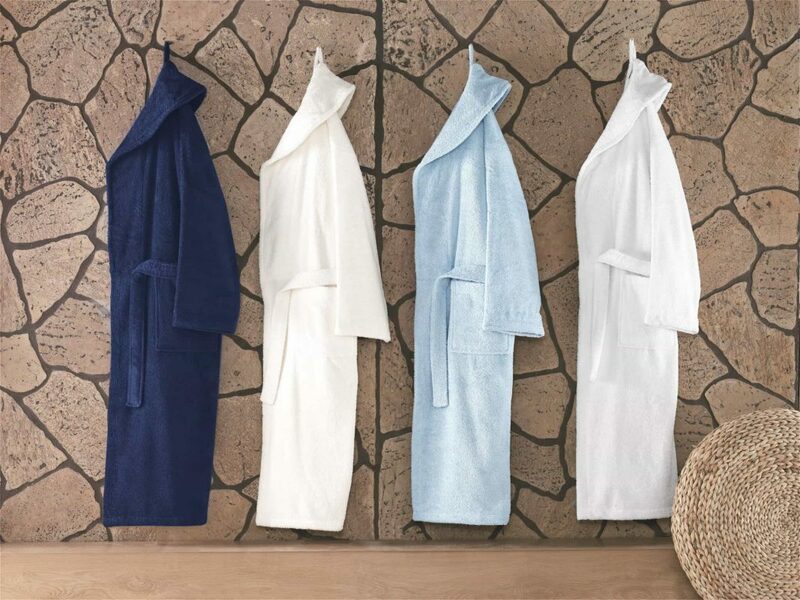 Turkish bathrobes are made of 100% combed long staple Turkish cotton, which is woven with long fibers that produce an exceptional softness and absorbency. 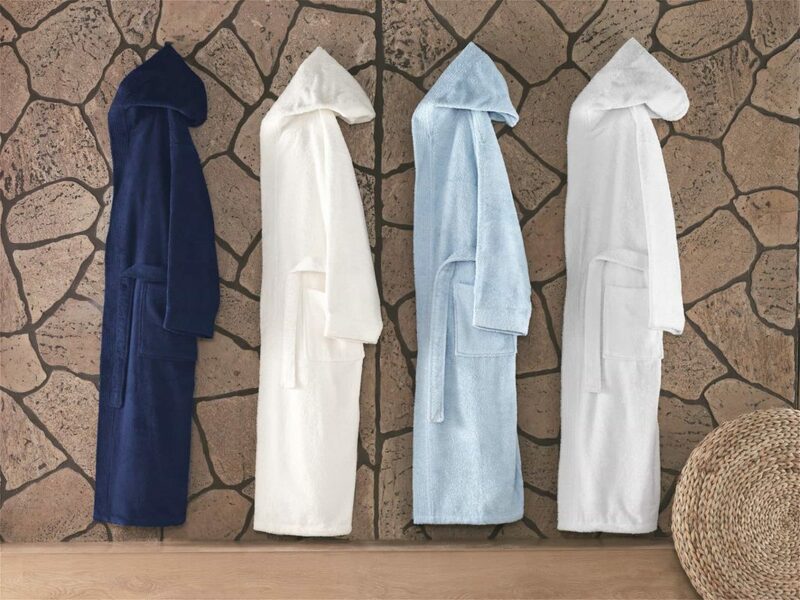 Turkish bathrobes are the ideal gift: They last long, pack well, and dry quickly but retain moisture on the body. Since they are lightweight yet encompassing, they are just as suitable for warmer and colder climates. 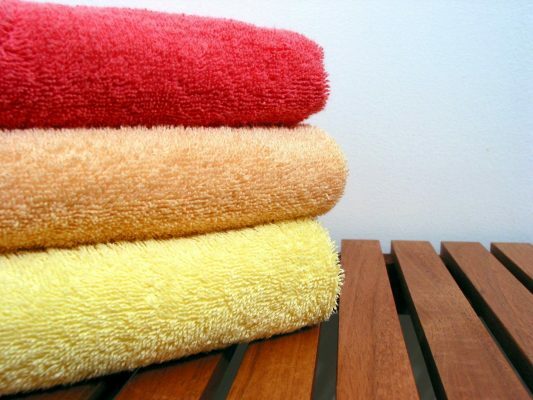 Although they are the epitome of luxury, they are much friendlier to the wallet than a trip to the spa. And they are one-size-fits-most, making them far safer gift options than other clothing purchases. 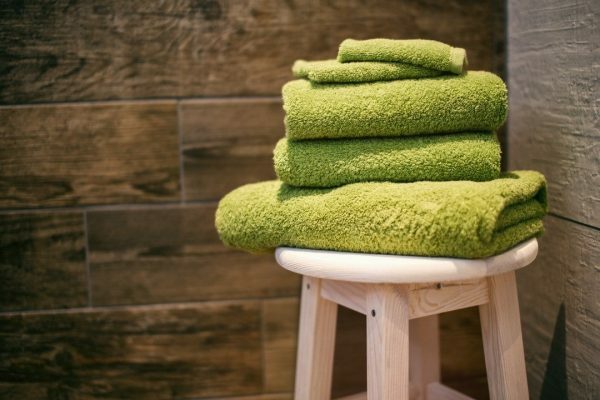 There are few things as comforting as wearing an extra-soft robe after a shower or bath, when you can take some time to be mindful and stress-free. In essence, Turkish bathrobes will make anyone feel calm and cozy—and extra special. With Mother’s Day and Father’s Day coming up, now is the time to think about how to express your gratitude to your loved ones. Turkish bathrobes are thoughtful gifts. Because they are luxurious, giving them as gifts shows your loved ones that you know they deserve only goodness and care. While they are excellent gifts for Mom and Dad, they are also great for other occasions, such as birthdays, holidays, and anniversaries. 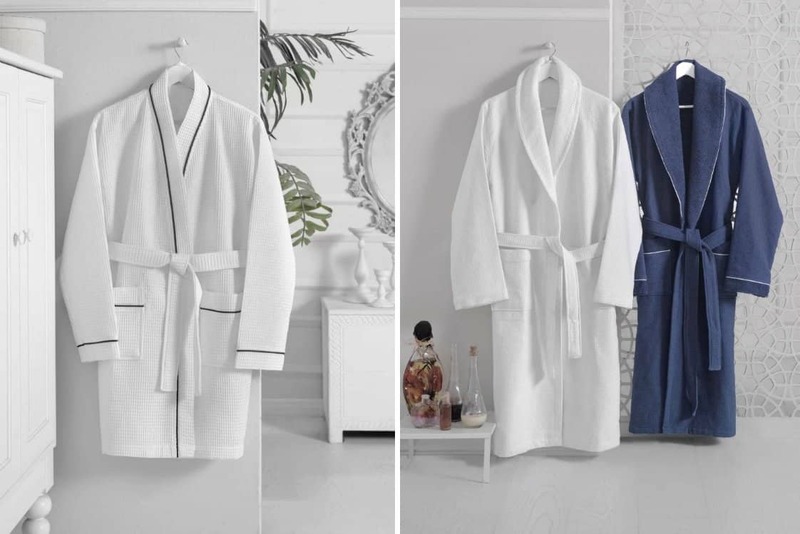 It goes without saying that Turkish bathrobes are also very romantic gifts, ideal for your spouse, girlfriend, or boyfriend. Picture the joy on your significant other’s face as he or she opens up a beautifully wrapped package with a sumptuous robe inside. 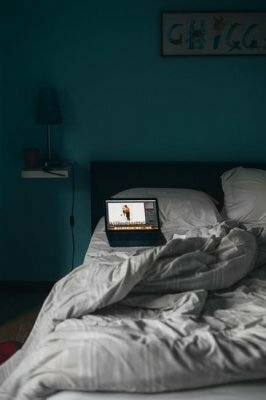 To really go all out, plan an entire evening of relaxation, with champagne, sweets, and soft music. 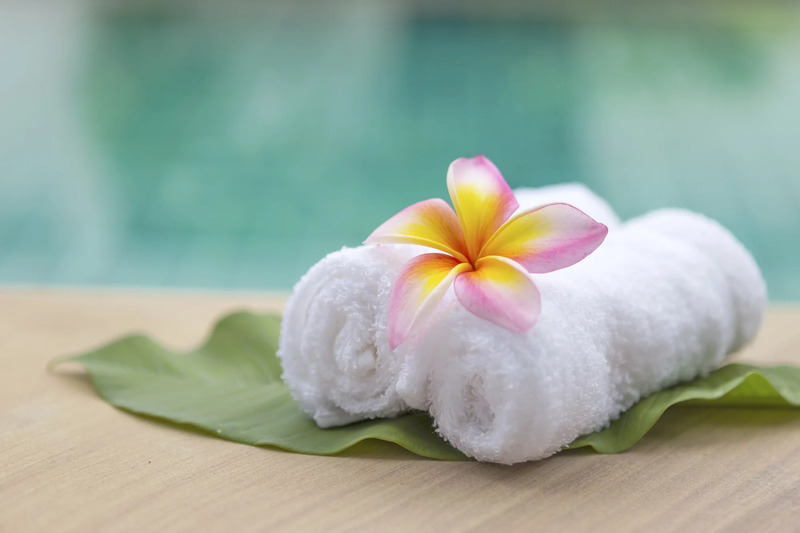 You don’t need to go to a spa for total bliss; you can bring the spa to you! 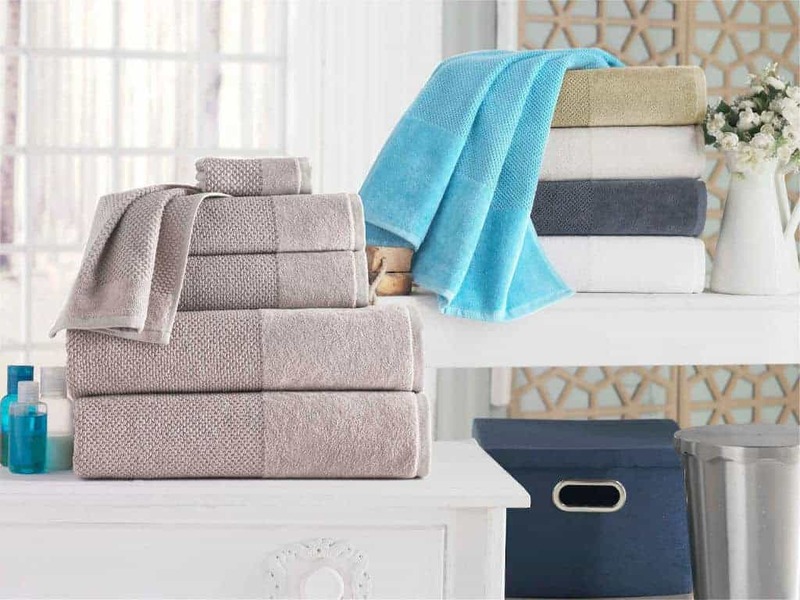 Enchante Homes offers several Turkish bathrobe varieties, each with its own personality and style. Our Waffle Terry Turkish Bathrobe is our best-selling robe, a lightweight robe with a soft waffle texture that comes in navy and white. The Shawl Collar robe has a stylish collar and cuffed long sleeves and comes in aqua, cream, navy, and white. The Hooded robe lets you fully immerse yourself in the deluxe cotton, literally from head to toe. It comes in the same colors as the Shawl Collar. 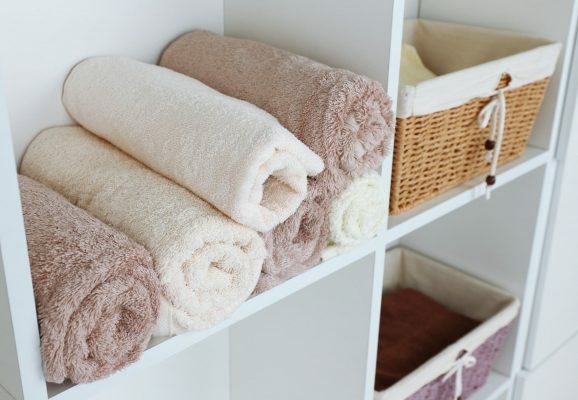 No matter the gift occasion, offering a Turkish bathrobe will bring a smile to the recipient’s face. And isn’t that what gifts are all about?